And I was a bit bummed out when GM announced the closing of the plant where the car is being built. 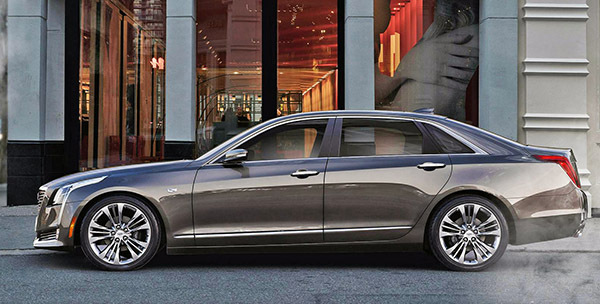 But now, Cadillac President Steve Carlisle and GM president Mark Reuss are saying the CT6 was never meant to be on the chopping block. I think the 2019 refresh really addresses most of its design problems. This is now a truly really good looking luxury sedan. While the plant is indeed closing in a few months, GM is looking for another place to build it. In related news, Cadillac has announced an $ 88 790 price for the all-new CT6-V version. With an all-new 550HP V8. Apparently, the new engine will be available in the CT6-V and Blackwing V8 Platinum versions. I'm glad to know they're not quite that stupid, but now I wonder if letting people believe it was canned for weeks was just a PR stunt. Now they need to make a non-turbo of the V8 to replace the 3.6 V6 and a softer-sprung option for us old people.